This men's wig is primarily made from French lace to give you that natural look. Yet it also has a double layer lace front (1/2" single layer at the hairline), a 1" poly coating on the back and sides and hand-sewn stitching lines for extra durability. The S8 custom mens human hair wigs combine comfort with a great natural look. 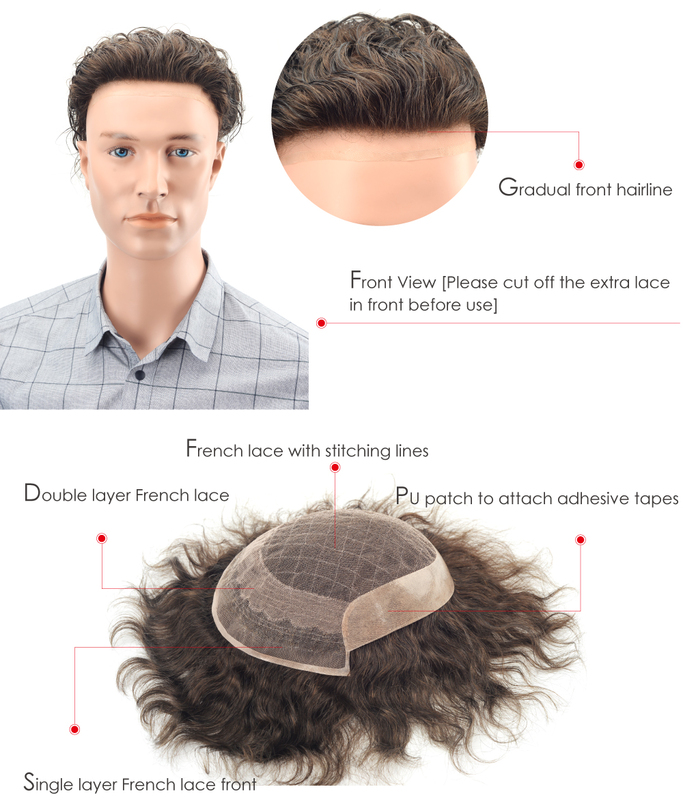 A French lace base with double layer lace front, 1/2” single layer lace at hairline, 1” poly coating on sides back and hand-sewn stitching for extra durability make these hair systems for men who prefer undetectability. The realistic look of these custom mens human hair wigs is further enhanced by bleach knots. The S8 mens human hair wigs are also very practical. The poly coating on the sides and back makes attachment and cleaning a breeze and enables you the bond to last longer which is very convenient because you put less effort into look great. 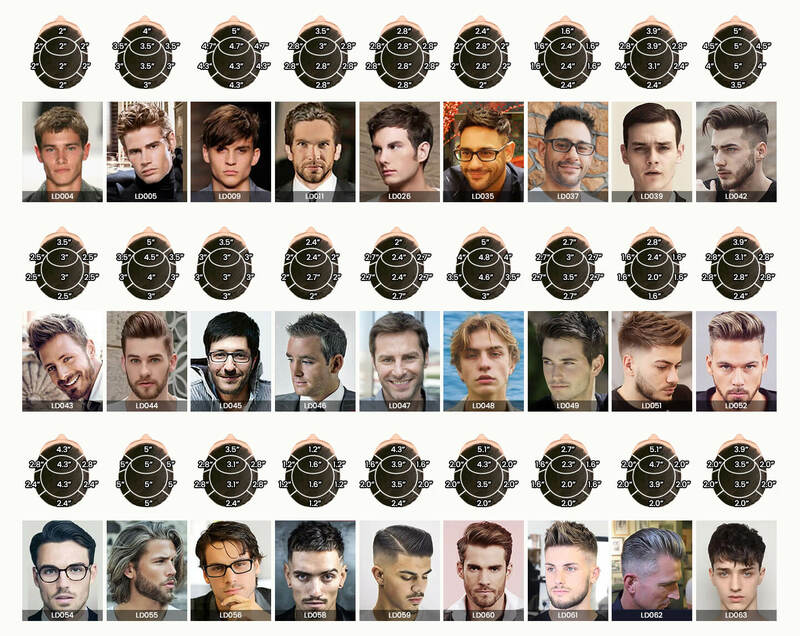 The S8 100% human hair custom hair systems for men are for those who value comfort and a realistic look over high durability. This is a custom made hair replacement system as an example, all the specifications will be customized per your need. Below are the specifications of the product shown in the pictures for your reference.